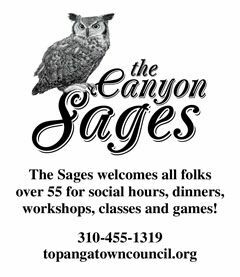 The town of Topanga is a thriving community due much in part to the volunteer effort of residents and businesses in our canyon. But it also takes financial contributions to keep community programs alive and growing. The Topanga Town Council, an all-volunteer organization, asks you give generously to help support the many community programs it creates and supports. These are just some of our programs that benefit the entire canyon. We also give to other local organizations including Arson Watch, T-CEP, CERT, Historical Society, Topanga Creek Cleanup, animal programs, Topanga State Park, and local schools.